Industry heavyweights alongside local government have been crowned the best in Customer Service Knowledge Management. Spanning over July and August 2017, the six national winners of the livepro Customer Service Knowledge Management awards were crowned. The ceremonies were held in three capital cities including Sydney, Melbourne and Brisbane. 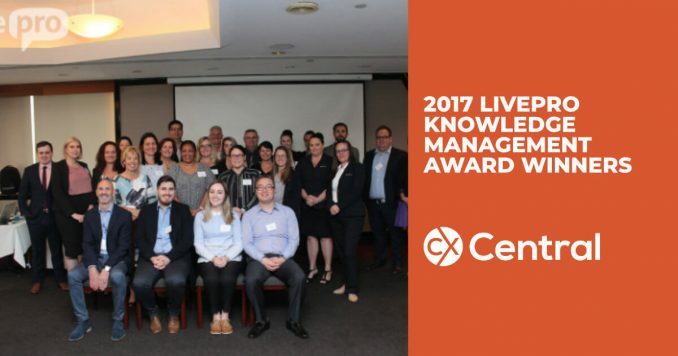 The livepro CKM Awards have been put into place to honour the industry’s leading authors and ambassadors for Knowledge Management Excellence in Customer Service. The winners of these awards are celebrated and recognised as having superior skills in knowledge management, commitment to optimising the customer experience and proven dedication to making answers concise and easy to find for agents. Out of dozens of applications Cairns Regional Council, Datacom Knowledge Management, PetSure Australia, The City of Canada Bay Council and ME Bank have been crowned leaders in their respective categories, each earning themselves the highest accolade in national Customer Service Knowledge Management. 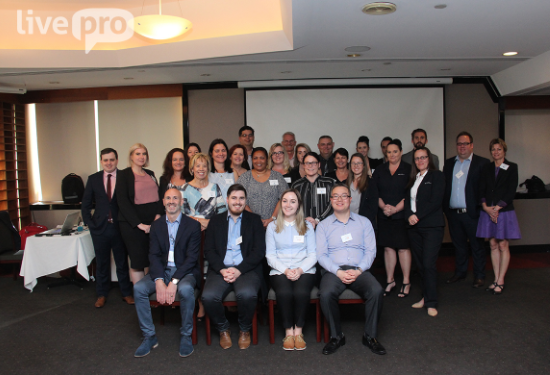 Judged by Lyn Trewenack of BBB Advisory, Samantha Middlebrook of Customer-Driven and Rhiannon Hayes-Williams of livepro, the competition was fierce. “We were overwhelmed with the amount of submissions for the livepro awards and couldn’t believe the quality of the submissions” said Rhiannon Hayes-Williams, “The winners for each category are most certainly deserving and have demonstrated world-class skills in knowledge management best practice – they’re leaders in their field and we can all most certainly learn from them”.